Feb 1 Australia Sale! Sydney / Melbourne from $535RT! Amazing broad reaching sale from Qantas and Alaska Airlines from Seattle to Sydney and Melbourne, Australia! Australia rarely goes below $800 so this is a steal! Qantas economy fares include one checked bag and a normal sized carry on. Dates from March all the way to November including some in the summer! Remember, Australia will have opposite seasons from the Northern Hemisphere so plan accordingly. United States citizens will need to obtain a visa before entering the country. 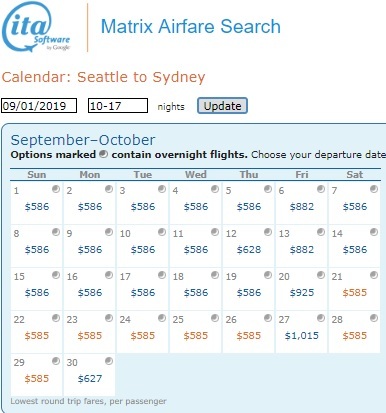 Use ITA Matrix Software to find the dates and book fast through Momondo to lock in this frugal fare!